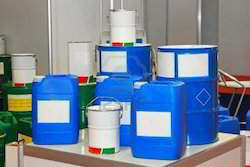 Laboratory Chemicals required by all industries can be supplied. 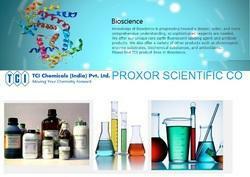 We have with us all leading brand of IR/AR Chemicals with us. Aluminum Oxide Powder for Chromatography is a white to off white, fine-grained powder, highly porous form of aluminum oxide. Its surface is more polar than that of silica gel and reflecting the amphitropical nature of aluminum, has both acidic and basic characteristics. Aluminum Oxide Chromatography's characteristics are determined by its specific (internal) surface area measured by the BET Method, its mean pore diameter and its pore volume, the latter two being in relation to the specific surface area. Sorbead India assures to supply the highest quality of Chromatography Adsorbents, with controlled physical characteristics for reproducible chromatographic performance. Aluminum Oxide Chromatography is used in Laboratories, Research & development Department, Chemical Industry. 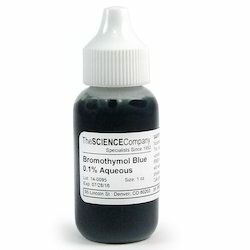 With the help of our experienced professionals, we have been able to offer Buffers And Reagents. These solutions are efficiently processed under hygiene environment by making use of high quality chemical substances at our sound processing unit. 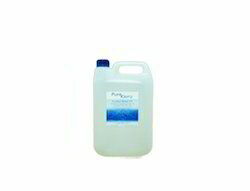 Its pH changes very little when a small amount of strong acid or base is added to it and thus it is used to prevent changes in the pH of a solution. As an esteemed name in the industry, we are engaged in offering a broad collection of Carbon Sulphur Test Apparatus. Keeping track of current market development, the offered apparatus is manufactured using contemporary technology and fine grade raw material. After manufacturing, the entire range is passed through a series of quality tests avoiding any possibility of defect. Our offered range is widely used in various chemical and pharmaceutical laboratories for calibrating carbon and sulphur content. Chlorine can be used to wash and hand-sanitize food utensils. Washing and sanitizing utensils typically is included in kitchen safety and HACCP requirements. Verify the chlorine level by the color change of the test paper. (10-200 ppm). (6 rolls, 15' L each per package. )Users of chlorine based sanitizer solutions are required to have kitchen safety test kits on hand to ensure their sanitizer solutions meet HACCP, federal and state health department requirements. 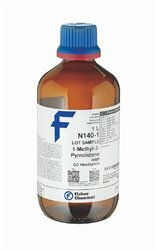 The Hydrion Chlorine Test Papers measure the concentration of chlorine based sanitizer solutions. These safety solution test papers provide the user with a simple, reliable, and economical means of meeting HACCP, federal and state health requirements. Simply dip the test strip in the chlorine sanitizer solution and compare color against the color chart. These kitchen safety test papers are approved by health department to be used for monitoring concentrations of chlorine sanitizing solutions. Owing to our vast experience in the concerned industry, we are offering a comprehensive array of Cooling Centrifuge - Micro Centrifuges that is ideal for centrifugation with micro tubes from 0.2 ml upto 1.5 ml. These cooling centrifuges are suitable for routine sample analysis in medical, hospital, pathology and institutional laboratories. The offered cooling centrifuges are inspected on numerous parameters so as to deliver a defect free range. Centrifuge model CM-8 Plus is suitable for routine sample analysis in Medical, Hospital, Pathology and Institutional laboratories. With a wide choice of rotor heads and adaptors, this unit is truly versatile. 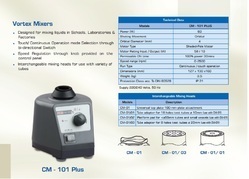 Micro Centrifuge model CM-12 Plus is useful for routine applications in bio-technology, PCR, life sciences, bio-chemical and clinical labs etc. 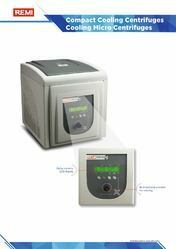 This unit is ideal for centrifugation with micro tubes from 0.2 ml upto 1.5 ml. Potassium iodate is sometimes used for iodination of table salt to prevent iodine deficiency. Because iodide can be oxidized to iodine by molecular oxygen under wet conditions, US companies add thiosulfates or other antioxidants to the potassium iodide. In other countries, potassium iodate is used as a source for dietary iodine. It is also an ingredient in some baby formula milk.Like potassium bromate, potassium iodate is occasionally used as a maturing agent in baking. The HI 96822 is an optical device that is quick and easy to use. After a simple user calibration with distilled or deionized water, a seawater sample can be introduced into the sample well.Within seconds, the refractive index and temperature are measured and converted into one of 3 popular measurement units Practical Salinity Units (PSU), salinity in parts per thousand (ppt), or specific gravity (S.G. (20/20)). All conversion algorithms are based upon respected scientific publications using the physical properties of seawater (not sodium chloride). Salinity is a critical measurement in many applications, such as aquaculture, environmental monitoring, aquariums, desalination plants, well water, and many more. Until now, the available technology to measure salinity has relied on mechanical instruments, such as hydrometers and ocular refractometers, or on high-tech conductivity meters. While easy to use, ocular refractometers can be difficult to get a accurate reading from and are highly susceptible to changes in temperature. Hydrometers, though inexpensive, are clumsy and inaccurate. Conductivity meters that convert to salinity can be cost-prohibitive. HI 96822 is supplied with battery and instruction manual. We have earned a sterling reputation in the industry for manufacturing, exporting and supplying Rotary Shakers. The offered Rotary Shakers is made in tune with the health standards and has earned us loads of profits. It is durable, energy efficient, spacious and resistant to corrosion. 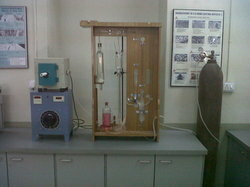 A vortex mixer, or vortexer, is a simple device used commonly in laboratories to mix small vials of liquid. It consists of an electric motor with the drive shaft oriented vertically and attached to a cupped rubber piece mounted slightly off-center. Mercury(II) iodide is produced by adding an aqueous solution of potassium iodide to an aqueous solution of mercury(II) chloride with stirring; the precipitate is filtered off, washed and dried at 70 °C. Phenolphthalein is slightly soluble in water and usually is dissolved in alcohols for use in experiments. 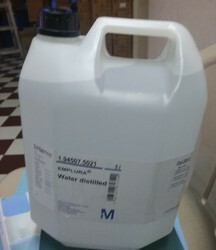 It is a weak acid, which can lose H+ ions in solution. The phenolphthalein molecule is colorless, and the phenolphthalein ion is pink. When a base is added to the phenolphthalein, the molecule ions equilibrium shifts to the right, leading to more ionization as H+ ions are removed. This is predicted by Le Chatelier's principle. and types reagents and instruments. 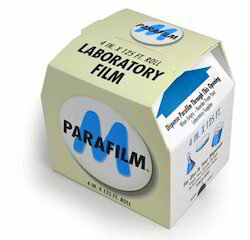 We offer Parafilm Material of high quality at very cost effective prices.Parafilm M is a unique self-sealing, moldable and flexible film for numerous uses, ranging from general laboratory use to applications in gardening.